Logged in users of oneplace are able to generate a report on Published Events for their organisation. To generate the Published events report. 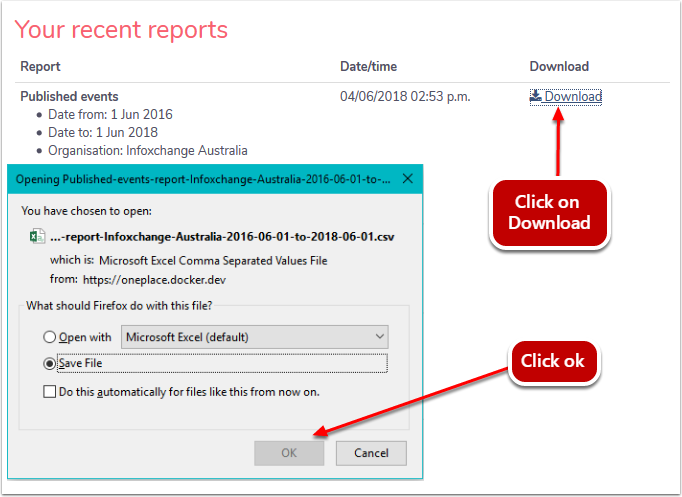 Select the Published events report. Select from the drop down list which site you want the report to generate the events report for. oneplace will begin to generate the report. How many events have been published by an organisation within a specific date range. An indication of events published at specific sites if sites are selected.